Barnsdales FM is playing a leading role in helping to preserve the country’s heritage after securing a contract to maintain the Science Museum Group’s (SMG) sites across the north of England. 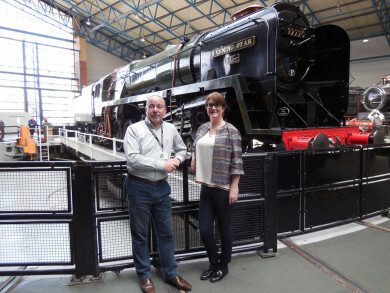 The business, part of the Barnsdales commercial and residential property group, is assisting the SMG with the National Railway Museum in York, the National Media Museum in Bradford, the Museum of Science and Industry in Manchester and the Locomotion Museum in Shildon, County Durham. The appointment comes after the announcement of a record year for the SMG. Visitor numbers across all the sites reached 5.5 million including 750,000 at York – an increase of 3.1 per cent – and 460,000 at Bradford, up 11.1 per cent. Clive Chippindale, who launched Barnsdales FM earlier this year after working in facilities management for more than 20 years, said: “Improving the visitor experience is very important to the SMG and our aim is to assist with that and help them to protect our cultural heritage. Mr Chippindale becomes the SMG’s interim head of estates for the north and continues to oversee Barnsdale FM’s other projects, including management of a five-strong team which is expanding. He said: “We have already appointed Jodi Potter to support the SMG project and provide management experience to the Manchester Museum of Science and Industry with the development of St Johns Quarter and we expect to announce further recruitment as we secure new work which is currently in the pipeline.